I'll happily admit i'm not masochistic enough to even contemplate paint and babies, even the older spawn, who can now allegedly set it up and put it away themselves, reaching for paint makes me twitch. This idea, however, I can stomach. Just. I know, I lied, sort of. There's actually no paint involved in this. 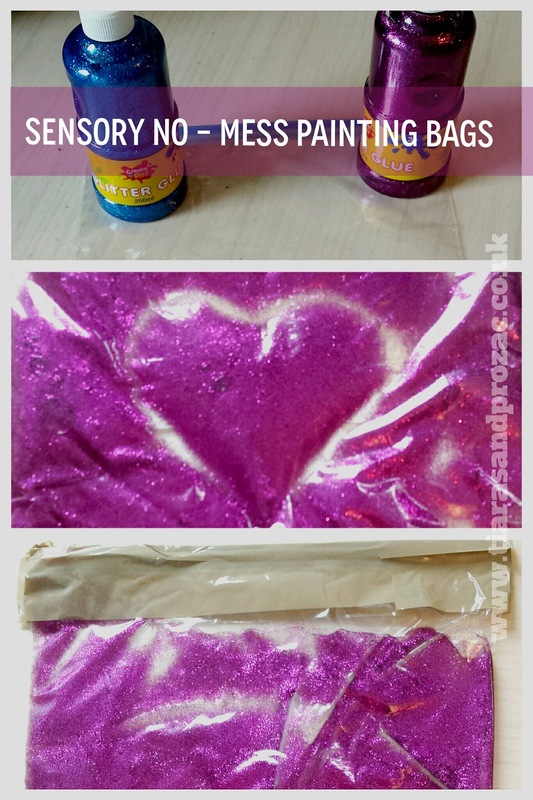 All you need is a Zip-Lock bag and some glitter glue because everything is better with glitter. That's really all there is to it. No point over complicating things. 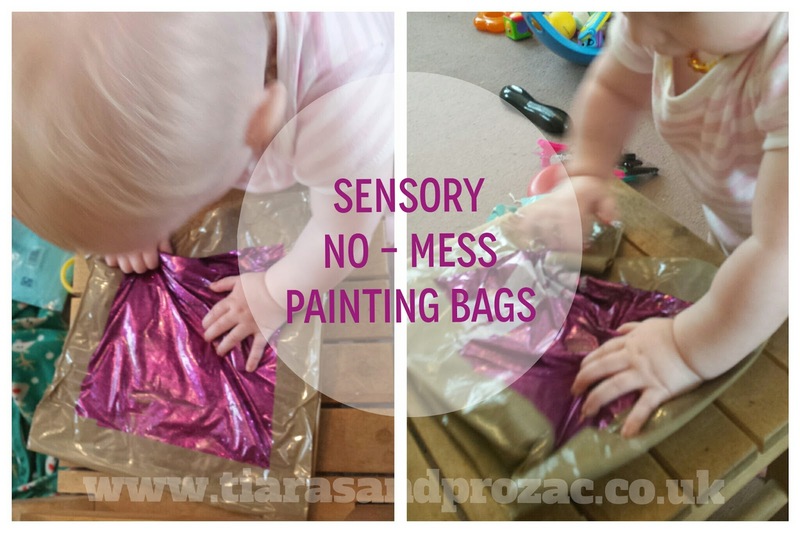 If a bag full of glue gives you The Fears, you can reinforce it with parcel tape around the four sides. What you now have is a smooshy, prod-able squishy bag that glitters. You can make shapes in it with your fingers 'drawing' then smooth them away so they disappear. It's incredibly tactile. Even The Dude and Things One and Two were drawn to it. If you have a toddler or preschooler you can tape it to a window and the added daylight makes the drawings show up better and makes it ideal for teaching shapes/numbers/letters etc. 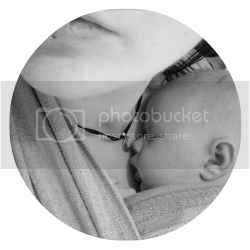 If for a baby,` it's more of a tactile cause and effect experiment and you may want to tape it to a high chair table or something if your baby is anything like Moomin who just wants to nom on everything that isn't nailed down. She loves to poke and slap it. Love the mess-free aspect of this one. It's always wise to keep glitter contained, lol!